The key to successful application of any high-performance paint system is preparation, and rust-inhibiting metal primers are integral to many maintenance and repair systems across the industrial building, renovation, and commercial property sector. Applying paint directly to unprepared areas can mean that the paint topcoat has nothing to successfully adhere to – and the whole paint system which is being installed will need to be completely stripped back (often at great expense) and reapplied to a newly prepared surface. Avoid the additional costs, potential business downtime and loss of earnings, and headache by making sure all metal surfaces that are to be painted have been correctly prepared and primed. You will save time and money this way, and more importantly, get the full lifespan of the product – colour protection, UV resistance, weather and waterproofing, and enhanced brand/company reputation! Viewing this on mobile? Already know which products you want? Shop here. How Do Steel and Metal Primers Work? What Surfaces Can Metal Primers Be Used On? First and foremost, a primer (sometimes incorrectly referred to as ‘undercoat’) is the key element of a surface, substrate or material’s preparation before it is painted with a topcoat. Once a surface has been cleaned and all loose materials – dirt, grease, grime, mould, algae, most, rust, etc. – removed, a primer should be applied for better adherence of the paint to the surface. Previously coated surfaces may not require a primer, but new, bare, raw, exposed and porous materials should require a primer to seal, bond and add extra protection to the full paint installation. Using the right primer and topcoat will produce an elevated level of durability, full aesthetical values – colour and sheen retention – and last for years to come. Paints’ adhesion to metal surfaces is lower than its adhesion to porous substrates, such as wood or masonry, and in certain instances paint can form very little adhesion with the metal surface as it dries and cures. A primer will stop this happening by forming a binding layer and allowing for a smooth, level and even paint topcoat application – as well as improved coverage ratios. Many untreated or exposed metal surfaces have a sheen, shine or gloss to them – which can make it impossible for standard paint to adhere to. Steel, or more specifically, stainless steel, will not allow paint to adhere to it. A primer will create the bond between it and the paint. Primers are frequently picked based on their rust-inhibiting qualities for environmentally demanding environments – structural steel, oil-rigs, marine equipment, etc. With a wide range of metal paints, colours and finishes available at Rawlins Paints, including enamel paint, hammered finishes and aerosol applied coatings, get the best suited metal primer for the topcoat by referring to product datasheets or contacting our technical support team. Please ensure that metal topcoats are applied when specified by the primer. By not applying a compatible topcoat within the recommended time frame, it can severely reduce the performance of the system. In certain instances it may be possible to apply the topcoat before the primer has fully cured, to improve adhesion and inter-coat adhesion on difficult surfaces. When applying a coloured topcoat, it is recommended to apply a similarly tinted undercoat/primer, to improve colour performance and reduce the number of topcoat layers to achieve the desired colour and aesthetical finish. Metal primers available to buy today at Rawlins Paints, can be used on metal and Plastisol cladding, aluminium, copper, iron, lead, mild steel, cast iron, galvanised steel, stainless steel, zinc and more. For other requirements, please contact us for further product recommendations. Vehicles – cars, motorbikes, tractors, forklift trucks, pallet trucks, lorries, etc. Fencing, barriers, gates, posts, etc. Many of our primers and undercoats have impressive certificates and approvals including hygiene ratings, fire ratings, Network Rail approval, Highways Agency approval, London Underground approval and more. 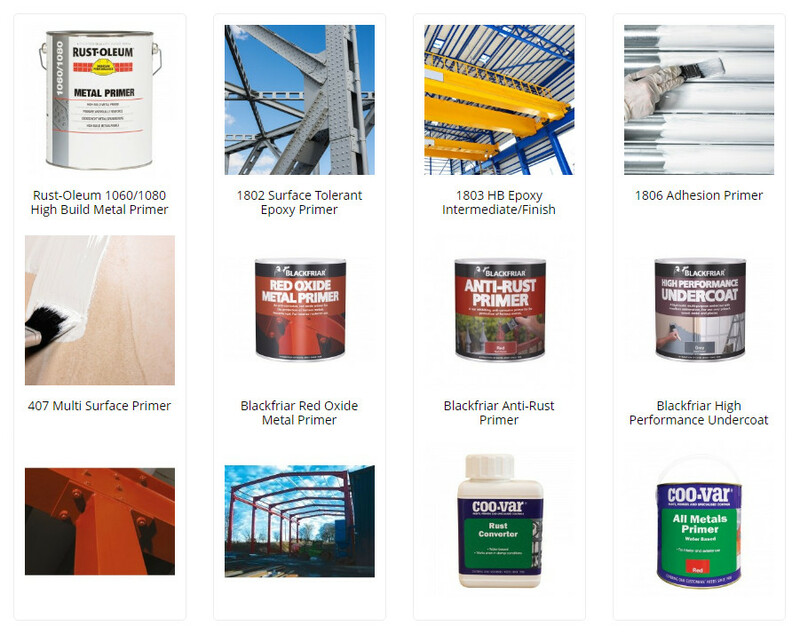 Ask our Technical Team for help in choosing the right primer or undercoat for your project. For areas where rust cannot be fully removed, such as on steel or iron surfaces, Teamac or Coo-Var’s Rust Converter can be directly applied to the rust to protect and prevent it from spreading further. Essentially, a rust-converter will turn the rust on a substrate into a stable surface that can be re-coated without any risk of further corrosion to the underlying metal. For damaged galvanised steel, or light industrial exposure, corrosive environments and high humidity areas, Rust-Oleum Hard Hat Galva Zinc Alu will act as a fast drying and zinc enriched primer. Providing excellent cathodic protection with its pure zinc and aluminium pigments, it dries to leave a sparkling aluminium finish. This product essentially acts as a compromise between substrate protection and an aesthetically sound finish, which is heat resistant up to 100°C. To reduce the number of topcoat layers to achieve a brand specific, or unique colour finish, Rust-Oleum 3202 Galvinoleum Primer is tintable to nearly any colour, including RAL and British Standard colour finishes. It is a single pack super adhesion primer for galvanised steel, plastic or other smooth surfaces. Should be used on galvanised steel, stainless steel, aluminium, copper, glass, porcelain and other smooth, dense surfaces. Rust-Oleum 769/780 Damp-Proof Rust Primer is a single pack rust primer for direct application on slightly moist or dry metal surfaces. Rust-Oleum 769/780 Damp-Proof Rust Primer is specially developed to be applied on hand tool prepared sound rusted steel surfaces. Can be applied on slightly damp surfaces and is providing protection under light industrial exposure conditions, if followed by a second primer Rust-Oleum 1060/1080 High Build metal primer and/or Rust-Oleum 7500 Alkythane. Red oxide primers deliver excellent water-resistance for steel and iron structures. They are ideally suited for ferrous metals, protecting it against rust and corrosion. Teamac, Blackfriar and Coo-Var each manufacture red oxide metal primers, available to buy today at Rawlins Paints. Ferrous metals typically contain iron, and are magnetic – offering minimal corrosion resistance. Ferrous metals include mild steel, carbon steel, stainless steel, cast iron, and wrought iron. Non-ferrous metals are not magnetic, nor contain iron – these are more resistant to corrosion than ferrous metals. Ferrous metals, for which red oxide metal primers can be used on, can be found in huge architectural metal structures – bridges, skyscrapers and tower-blocks. Exterior iron, steel and aluminium structures in coastal areas will require a surface primer with excellent anti-corrosive properties, and for this, Coo-Var’s Zinc Phosphate Primer is a suitable product. Generally sold in smaller sized tins, it is commonly used on fire escapes, metal gates and garage doors. Teamac manufacture three excellent zinc phosphate primers – Teamac QD Zinc Phosphate Metal Primer, Teamac 2 Pack Zinc Phosphate Primer and Teamac Rapidry HB Zinc Phosphate Primer. Rust-Oleum 6400 Fast Drying Shopprimer is suitable as a solvent based, temporary metal protection, commonly used as the first coat in shop coating applications. It provides basic protection following metal fabrication and assembly operations. Click here for the water-based 6400WB. For offshore environments, refineries, power plants, bridges, buildings, mining equipment and general structural steel, Jotun offer an excellent range of metal primers, including Jotun Barrier 77. Jotun’s paints and primers are manufactured to deliver unparalleled protection in the most demanding and atmospheric working and building environments around the world. Jotun Barrier has pre-qualification testing in accordance with NORSOK M-501, Rev. 5, System 1, and is suitable for exterior exposure in offshore environment, below 120 °C. It is part of a complete system that is certified to Network Rail Line Specification NR/L3/CIV/039 – System M20 and N4 (Cert. No. XM92/M20-140 and XN90/N4-077) Item 7.1.3. SikaCor EG 1 Rapid is a two-pack, high-solids, epoxy-based intermediate coat containing micaceous iron oxide. 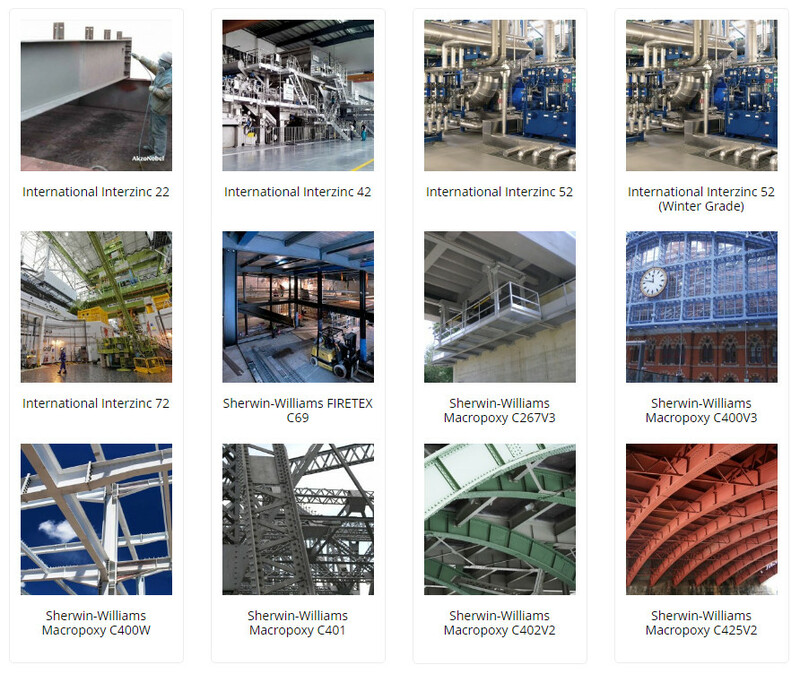 It is designed as a mechanically resistant intermediate coat on steel surfaces exposed to atmospheric conditions, hot-dip galvanized steel, zinc-spray, stainless steel and aluminium. It is over-coatable at low temperatures till – 10°C and is usually insensitive against shock and impact. 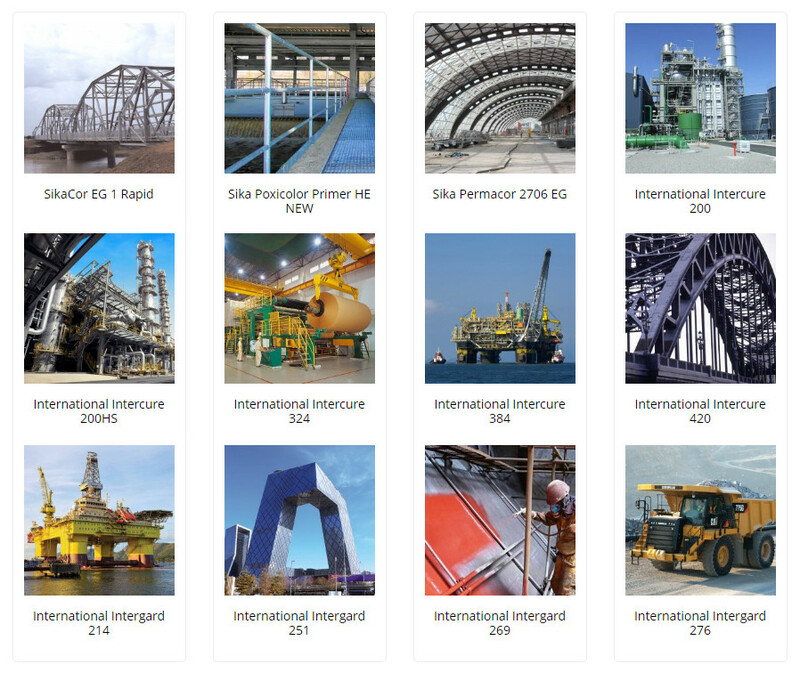 International Intercure 200 is a primer for industrial scale steelwork and intended for use in a wide range of aggressive environments, including offshore, chemical and petrochemical plants, industrial buildings, pulp and paper mills, power plants and bridges. For marine primers, International Interlac 497 is a one pack alkyd undercoat for use on internal and external areas above water on marine vessels. 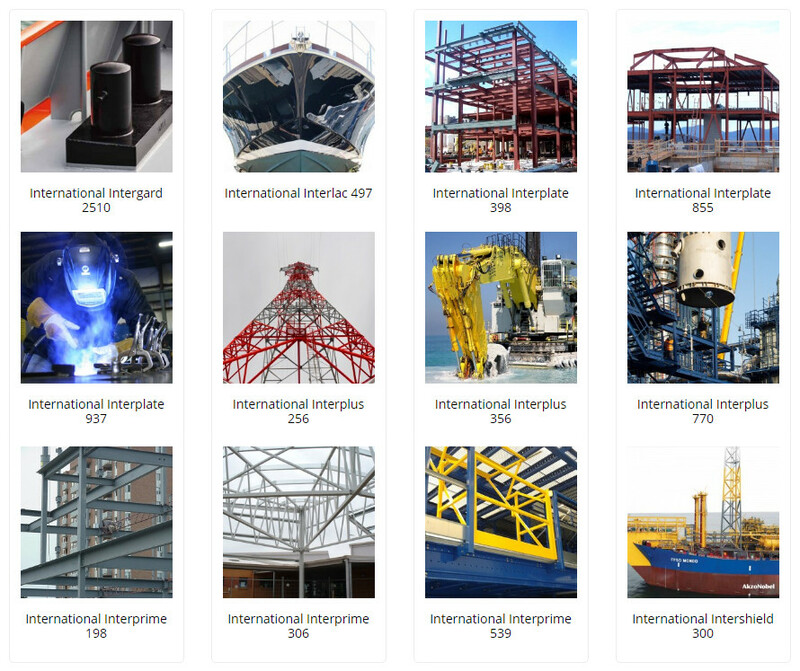 International Interplate 937 is a two pack, heat resistant zinc silicate shop (pre-construction) primer, suitable for high speed welding and cutting, with excellent resistance to damage caused by welding, gas cutting and fairing. Another Jotun product, Penguard Primer, is a two-component polyamide cured high molecular weight epoxy coating designed as a primer for new construction structural steel and piping. For use on offshore environments and similar locations to Jotun Barrier, it is designed to be part of a complete system in atmospheric and immersed industrial environments, it is suitable for properly prepared carbon steel, stainless steel, aluminium, concrete, galvanised steel, shop primed steel and thermally sprayed zinc substrates. Jotun Penguard Tie Coat 100 has pre-qualification testing in accordance with NORSOK M-501, Rev. 5, System 1, suitable for exterior exposure in offshore environment, below 120°C. When looking for a rust-inhibiting metal primer, please check that the product states clearly that it offers this. Rust-Oleum metal primers are typically rust-inhibiting. To prevent oxidisation and rust, ‘sacrificial’ zinc is added to a primer, which oxidises itself, instead of the underlying metal surface. It takes years for the breakdown of the zinc additives, and until then, the metal surface will not oxidise itself. Rawlins Paints have a vast range of rust inhibiting primers and undercoats for all ferrous and non-ferrous metals – because it is important to choose the right one for your project, whether you’re looking for something to adhere to a difficult surface, prevent rust from forming, stabilise existing rust or a high-performance system that is going to stand the test of time we have a product suitable. For areas exposed to high humidity, standing water, steam, condensation, or rigorous cleaning schedules, metal surfaces which may have been sufficiently primed a long time ago, may need stripping back and priming again to remove any rust build up, surface and topcoat degradation, such as blistering, peeling or paint splitting, or colours that are fading with overtones of a brown rust infusion. Steel, one of the most common materials primers are used on, is a ferrous metal. If exposed to moisture and oxygen, it can begin to rust quickly and spread rapidly. If rust and surface discolouration has begun, cleaning and stripping the rust spots back with a wire brush is recommended. Additional primer coats may be required, dependant on environmental exposure levels and how much rust-inhibitance is required. Without using a primer, oxidation may quickly lead to rust and breakdown the stability, leading to the decay of, metal. Topcoats can peel, blister, split and lose all waterproofing protection. If you are in doubt about the protection qualities of a metal topcoat or direct-to-metal paint which states it does not always require an undercoat or primer, please contact us. Stainless steel does contain properties that can protect the surface against oxidisation – but added protection and improved adherence for the topcoat may be recommended. Aside from rust, metal surfaces, namely aluminium, can suffer from surface chalking. Externally facing aluminium can be found on sidings of outbuildings and offices on building sites – portaloos and Portikabins, for example. As aluminium siding can dent easily, a flexible primer and topcoat will act to reinforce rust-inhibiting protection. 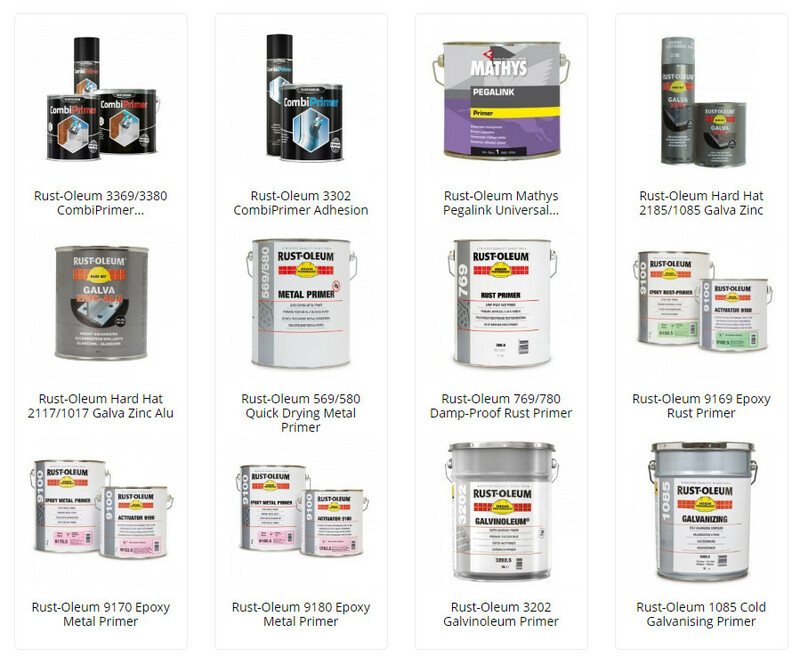 Rawlins Paints are the UK’s leading industrial paint specialist company, and the range of metal primers and undercoats we distribute for the industry’s leading manufacturers – International, Jotun, Mathys, Rust-Oleum, Sherwin Williams, Sika and Teamac is second to none. Our technical support team are experts on all products across each manufacturer’s range, so if you require more specific product information, a large project quote, or recommendations on compatible metal topcoats, please contact us by phone, email, or leave a comment below.